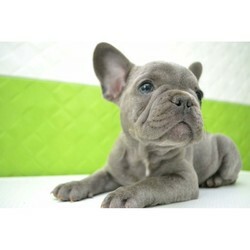 Elite French bulldog puppy with excellent pedigree. In excellent breed type. Very rare color - blue. Male. 2.5 month old. Can ship to any state or worldwide. Dewormed, vaccinated and registered. Please contact me through email for more pics and video. pup is provided with 180 days warranty!